The Cha Am-Hua Hin condominium market showed positive signals during the first three quarters of 2018, following a slowdown over the past few years. 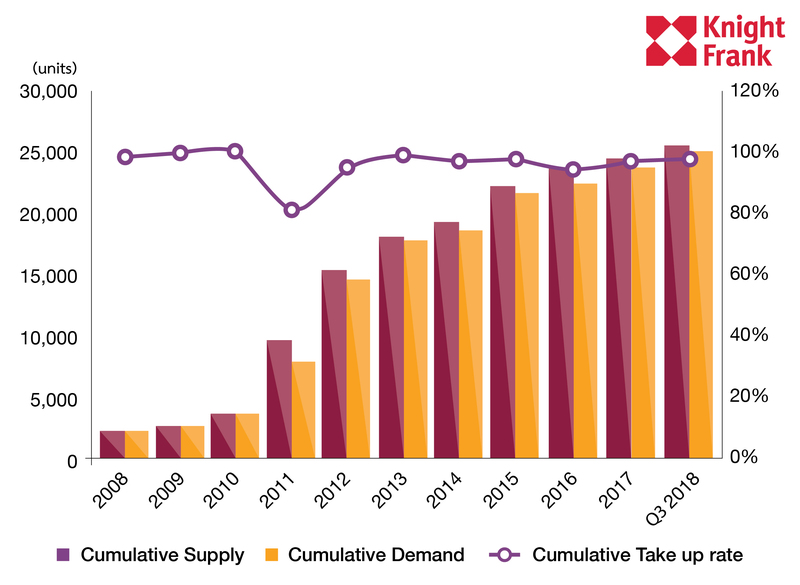 From a study conducted by Knight Frank Thailand, it was found that, between January and September 2018, there were 1,041 new condominium units added to the market, an increase of 164% compared to the same period last year. The new supply is entirely located in the heart of Hua Hin, and has been developed by major developers from Bangkok. 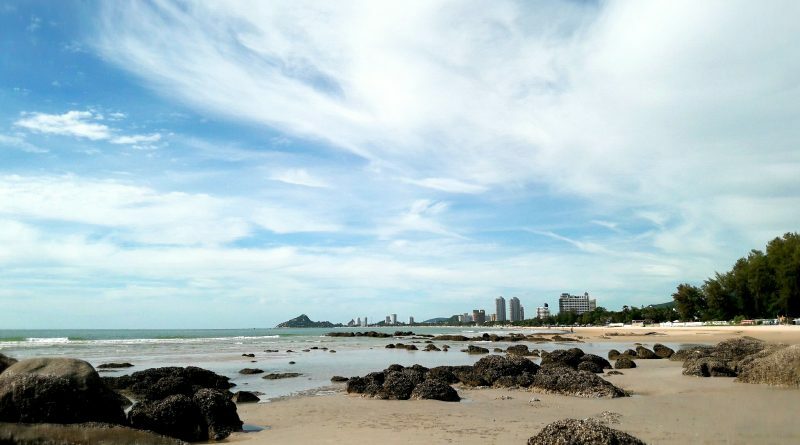 It worth noting that, of the new projects since 2012, only 35% are situated on the beach or not too far from the coastline (Seaview Projects); this is because land near the sea in Cha-am-Hua Hin is difficult to find and becoming increasingly expensive. Lately, developers have progressively turned their attention to developing projects in the city, focusing on locational convenience as their selling point. They have also positioned the projects to better meet the needs of the buyers, from the unit size, unit configuration and common spaces – all of which emphasise greater functionality while remaining aligned with the feel of a resort destination. On the demand side, specifically for new projects launched in the first 9 months of 2018, the average sales rate was approximately 75%. Main factors behind the sales of these projects include the aforementioned selling points, coupled with the reputation of the developer, which also marks an important point to attract buyers. For the Cha-am-Hua Hin area, the key buyers are still Thais who intend to buy the properties as their vacation homes or to rent out, as opposed to speculative buying in both the short and long term. For the sales price of newly launched projects in Cha-am-Hua Hin, from January to October 2018, it was found that the average asking price was 96,000 baht per square metre, a decrease of 9% over the same period in the previous year. This was because these new projects are in a lower segment and located in less desirable locations. For the market situation during the last three months of the year, it is expected that the supply will increase by about 200 to 300 units, which is considered to be a good outcome in terms of maintaining the market balance after the recent recovery from the slowdown. 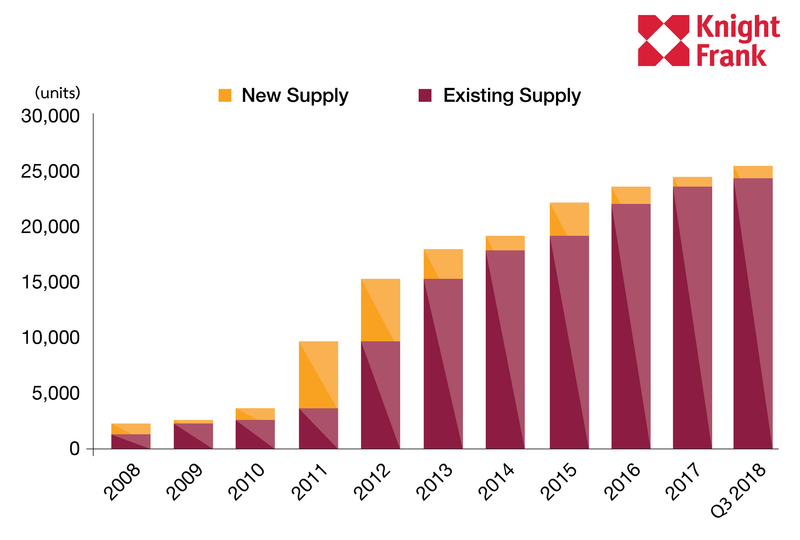 At any rate, the market may be negatively affected by the new Macroprudential Policy covering housing loans proposed by the Bank of Thailand that will take effect from 1 April 2019 onwards. The research team of Knight Frank Thailand expects that this policy may directly affect the decisions of some Thai buyers who wish to buy real estate in Cha-am-Hua Hin for a holiday home or as a rental investment.